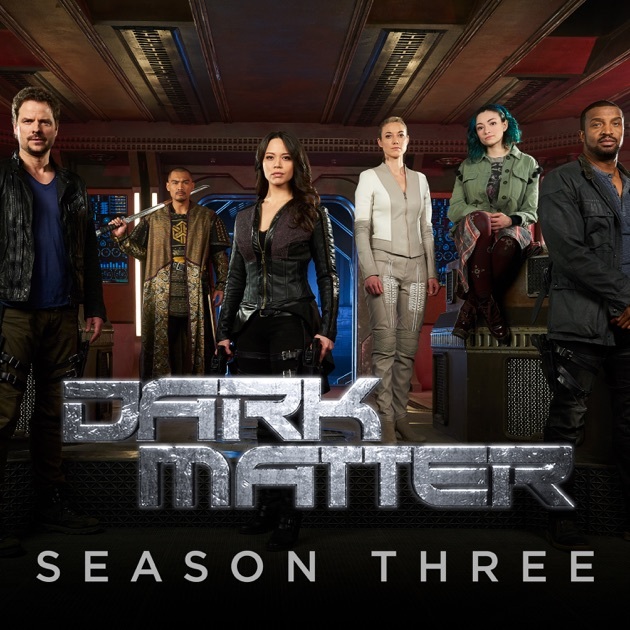 “Dark Matter” Season 3 is the last season of “Dark Matter.” Syfy did not renew the show and now this show joins the other good sci. fi. shows who died early like “Caprica,” “Firefly,” “The Sarah Connor Chronicles.” This show deserved to have its story completed on screen, the quality was that good and this season improved upon all other seasons before it. It is a shame it was canceled as this show’s flaws were built into the structure of adapting an ongoing comic to screen. This series did so much to develop characters, present unique ways to tell stories and provided some of the best action in any sci. fi. show. The story picks up with where the cliffhanger of last season left off, with the crew of the Raza escaping from the EOS-7 space station that Ryo’s forces are blowing up. From here the crew must find each other and confront this betrayal and the loss of a crewman. This was the most action heavy of the seasons and it did a beautiful job potraying it. From Ryo fighting his Captain when she attempted to overthrow him, to all the space battles between the Corporations before the Black Ships finally arrive from beyond in the finale. 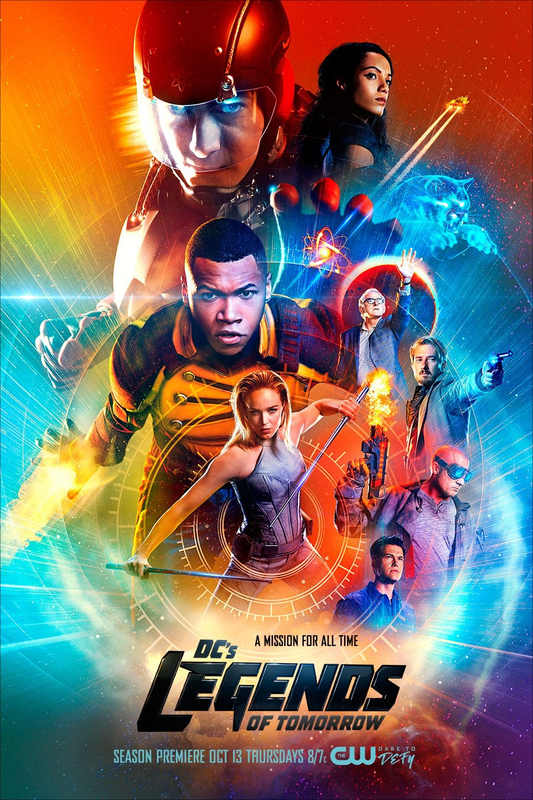 For a limited budget the show really went all out, I wouldn’t be surprised if they knew Syfy was canceling them so wanted to make the most of it. The series continues on from before and develops all the characters further. The Android sees the future and from it gains perspective as well as meeting her creator and from it finds a uniqueness in identity as separate from the Androids who want to rebel and wipe out humanity and the other side of serving humanity, Kal / Six gets to be the martyr and revolutionary, Two forgives Ryo and finds purpose beyond revenge and comes into her role as the leader the crew needs after the loss of Nix, Three / Titch comes to care about others and finds meaning beyond himself with Five / Das staying the most unchanged beyond learning more about her past and finally finding a reason why she might leave the Raza and Ryo comes into his own as a leader as he atones for his mistakes after losing everything after all he gains this season falls from him. We even get to see the alternate universe Raza crew who never got their mind wipe receive development as they are shown to be more than just mercenaries out for themselves. 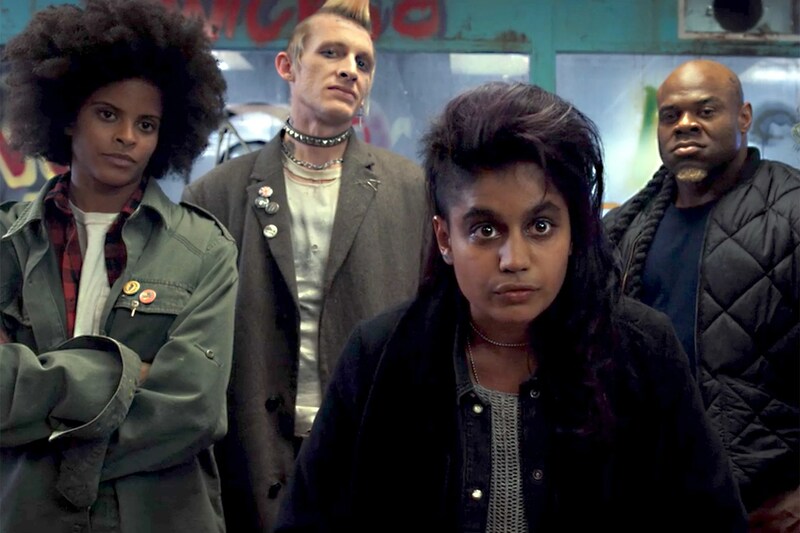 This season had the greatest variety of storytelling too, not only did each main character get an episode exploring them as people (Six and his staying with some colonists who’d freed themselves from the Corporations and from that we get our revolutionary episode, we get a time travel episode where they crew has to pretend to be in modern day to get a jump drive to return to the present as theirs malfunctioning brought them to Earth’s past (our modern day), we get an awesome battle episode in the finale, a comedic time loop episode akin to “Groundhog’s Day” and a Lovecraftian horror where we learn more about the aliens that possessed him last season from Three. The unique storytelling this season is really what helped make it so amazing. Once more the only flaw was that they could not end it. The format demanded more seasons and rather than trying to wrap everything up (and they wrapped up a lot of story threads) they ended it on the big universe changing battles, with the Lovecraftian horrors arriving in their ships after Six’s sacrifice was for naught and Two is found to have been possessed before Ryo stops her. I enjoyed the finale immensely but found myself let down after, much like how the “Sarah Connor Chronicles” ended, a story that ends with a cliffhanger, when it is a great show like this is sadder than “Firefly,” which at least got an ending in “Serenity,” even though it didn’t really need it, given the episodic day in the life nature of the show. This show was driven by arcs and the Cliffhanger hurt the story by opening up more questions like, “How will the remaining crew survive the Black Ships? Where is Portia (alternate Portia) taking Three? and what happened to Two? What was the promise she made Ryo make? These are all questions that will never be answered now unless Netflix saves the show, but all word so far is that this is the end of the series on television. The themes of revolution and calling out corruption in class and power is still there, with the corporations being the primary antagonist until the aliens from beyond are shown to have been manipulating the most powerful ones the entire time. In this way this theme isn’t as well written as last season but it does more than just calling out corrupt government and business and also calls out the revolutionaries who turn and kill their own. The Raza is about seeking a clear morality and from that the crew takes on the corrupt wherever they are, including their own past and alternate selves. If you haven’t watched “Dark Matter” yet, and are a fan of sci. fi., check this show out. 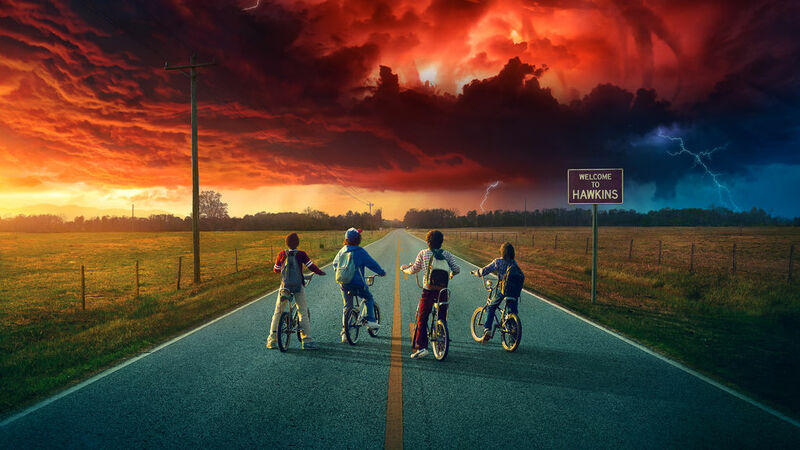 This is a show with some of the best character development, universe exploration and unique storytelling I’ve seen in any show. This season really showed just how great it could be and in turn made it one of my favorite science fiction shows. Another show canceled before its time that deserved a finished story, and so much better than only 3 seasons and a cliffhanger leaving so many stories open. This is an amazing television show and if there is a way to save it, I hope someone does. “Thin Ice” is the first mediocre episode this series. This is an episode that has great character moments with Bill and the Doctor but the support characters, villain and the creature are so boring and unfleshed out that it brings down the entire peace. It isn’t a bad episode, as the characters stuff was strong enough to keep me engaged, but it isn’t good by any stretch of the imagination. The episode was directed by Bill Anderson and written by Sarah Dollard. The story involves the TARDIS transporting the Doctor and Bill to the Thames Frost Fair of 1814. 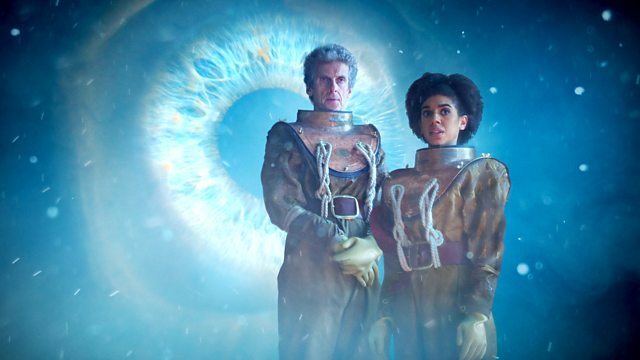 It is here they must unravel the mystery of the creature underneath the Thames as Bill is confronted with a choice that will define her and humanity. The Pros; The Doctor and Bill’s Relationship – This is an episode where Bill debates with the Doctor his role. She asks if he’s killed and it takes him a long time to say that only when it is one of the last options available…and in it we see the Doctor as a soldier and veteran, while for Bill this is all so new to her as she is faced with these choices for the first time and better understands the danger in the adventure. 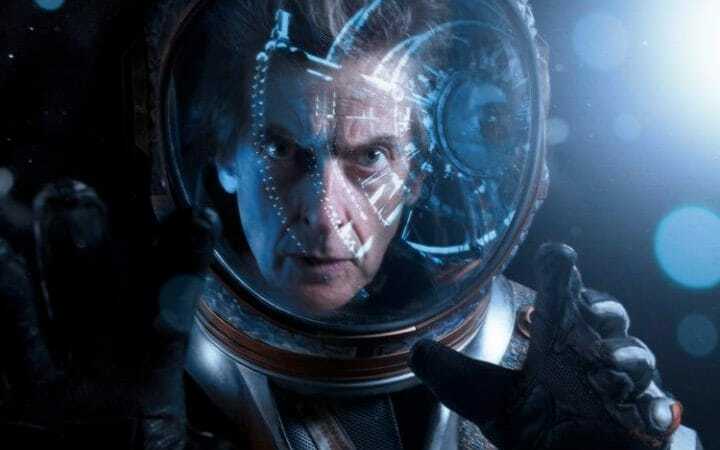 The Doctor – The Doctor is great in this in how he expresses that he does what he does to help and safeguard life because he is called to it…by his companion, the TARDIS, or the people they are helping. I saw it as partially him pushing responsibility off himself, but it also helped illustrate how he’s been learning. So much of 10’s trauma was because he got involved and didn’t listen. I think 12 has learned from the past in that way…now lets just see if the writers will keep it consistent. Bill – Bill is faced with the darkness in humanity in this one…from there hanging out with pickpocketing children, to a racist landowner who is controlling the monster for money. In the end she does what she can to save as many people as possible and trick the villain…and from here we see how the Doctor and the TARDIS make the companions more like them. Humanity’s Choice – Save the creature and risk human lives…or keep things the way they are and live the guilt of enslaving another being. This was the core dilemma at the end of the episode that turns Bill more into the Doctor as she chooses the second choice and larger moral implications that come with it. All life matters…be it alien or human. The Cons: The Villain – The villain is a racist landowner exploiting the creature for resources as it has been in his family for generations. He is so bland and uninteresting and easily one of the worst villains to come out of Doctor Who. There was no motivation beyond greed. The Supporting Cast – There are a bunch of child actors and none of them can act. This usually isn’t smart to do in any film medium and Doctor Who isn’t known for it’s great writing…and young actors usually don’t have the charisma to carry a scene the way an older more experienced actor could have…to make up for the pitfalls in the writing and dialogue. The Monster – The monster is a giant fish that sounds like a a whale that we never get to fully see. It eats people, so we know it is dangerous…and apparently it’s a native to Earth, but that is all we know. It is there to be rescued and that is it. This is a film that is only worth your time if you are a major fan of the show and a completionist. There are way too many 2 Dimensional characters in this episode and even the core concept of the companion being the stand in for humanity could have been explored a lot better. There are some great dialogue and character moments between Bill and the Doctor, but this is a time where that wasn’t enough to bring the episode to good or great.